Ooo la la! 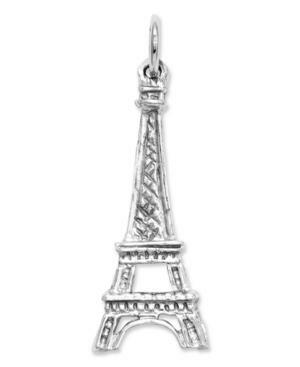 This iconic charm represents France's world-renowned structure, the Eiffel Tower. Crafted in solid 14k white gold. Approximate length: 1-1/10 inches. Approximate width: 2/5 inch.